This month's Birchbox is described as "a box of sunshine!" It definitely makes me feel like summer is on it's way, even if the current weather suggests otherwise! 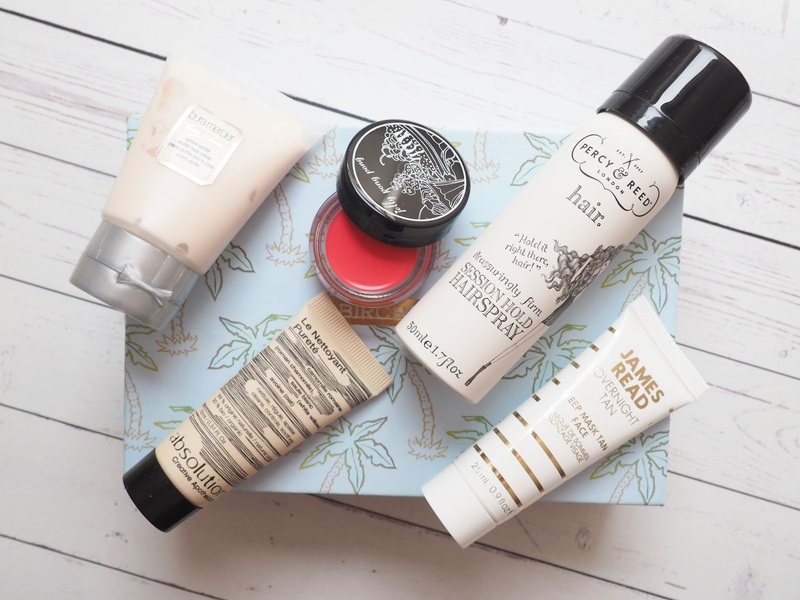 I was really impressed with the products in this box, it contained products from brands I have tried and loved before so it was nice to be able to try a few other products from these brands! I always find it handy to have a travel sized hairspray with me so I was excited to receive the Percy & Reed Hairspray, I really love their hair products so I love this! The fake tan I use is the James Read Tan however I don't use it on my face as I have very sensitive skin so I was happy to receive one specifically for the face. The best things about this is that it works overnight, so you can apply it, sleep and then wake up to a lovely glowy tan! My final favourite from this month's box is the Laura Mercier Soufflé Body Creme, I have wanted to try this for ages but the price has always put me off. This stuff smells incredible so I'm definitely going to use it to keep my dry skin in check!